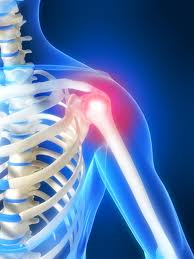 After a few sets of tennis, or an exercise session at the gym, your arm or shoulder suddenly feels stiff. Perhaps a twinge occurs with a specific movement. Maybe you woke up one morning with your head in an odd position. Perhaps the simple task of brushing your hair caused pain. Does this sound like you? This description is more common than you think. In many cases the cause of these symptoms reside in the neck and upper back regions along with the surrounding muscles. If left untreated, the irritation and inflammation continues to grow, causing the pain to become worse. And, as the pain becomes worse, the arm and shoulder motion becomes less and less. If a spinal condition is found on examination and xray, gentle chiropractic adjustments may be used to help restore proper alignment for the spine. This alignment takes pressure off the affected nerves, and in many cases, lessens the pain. Physical therapy may also be used to restore proper muscle tone and balance to the surrounding areas. The combination of these two types of treatment has been known to give the patient the best opportunity for improvement while still using a conservative approach to health.